Love it or loathe it, the EU has had a profound effect on the lives and livelihoods of all its citizens. One such area is in agricultural policy, which looks to balance the needs of the people, with those of the land that provides. Back in 1996, the Cork Declaration on Rural Development was signed, looking at the influence, importance and impact that the countryside has had on Europe in the past and looking ahead. It stressed the need for policy to be adaptable to new realities and challenges, and as such, a ten-point rural development programme was agreed upon that has driven rural policy in Europe over the past two decades, including funding measures to preserve and protect the environment, and others that help member states shift towards a low carbon economy in rural areas. 20 years on and in need of an update, and I was invited as UK expert to another EU conference in Cork. We were tasked with writing a new declaration for policy development and implementation for the next 20 years, in three days – no small feat! 300 delegates from across the EU attended. I chaired one of the four workshops – “The Innovation One” – which related to addressing farmers’ needs. Food safety, sustainability and environmental concern were some of the key areas of debate. We discussed how innovative approaches are required, as highlighted in a Dutch case study of a pepper farm that uses geothermal energy, resulting in a 90% reduction in CO2 emissions! Significant changes have occurred over the past 20 years in how we use, live in, and value the countryside. As such, the shift of the declaration has changed; ‘A better life in rural areas’ is the new title, with a renewed focus on such issues as the need to ‘rural proof’ policies, the importance of ‘digitalisation’, the challenge of climate change, and the fact that the proportion of EU citizens in rural areas has increased since EU enlargement to 28 Member states. In our workshop we highlighted the opportunities that present today, and we also addressed the barriers to success. And we came up with suggestions going forward, which centred on being more innovative, strategic, and flexible. 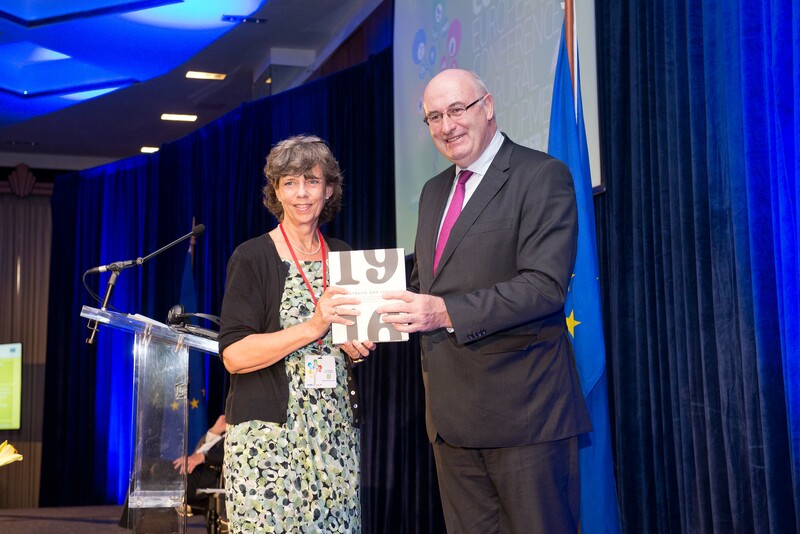 After three days of discussion, we drafted a new Declaration that was accepted in person by the EU Commissioner for Agriculture and Rural Development, Phil Hogan. It was an honour to be involved and help shape this new Declaration and our hope is that regardless of Britain’s status within Europe, the conclusions and recommendations reached will help realise the overarching aim of a better life for all in rural areas across Europe.